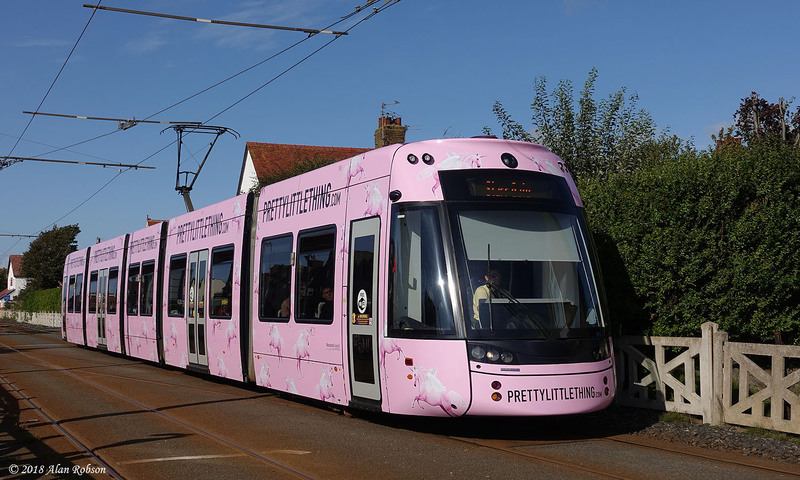 Flexity 016 has lost its longstanding attactive seagull advert for Freeport Fleetwood, this being replaced with a rather uninspiring overall advert for the fashion retailer PrettyLittleThing, which is basically just a plain pink background adorned with unicorns. 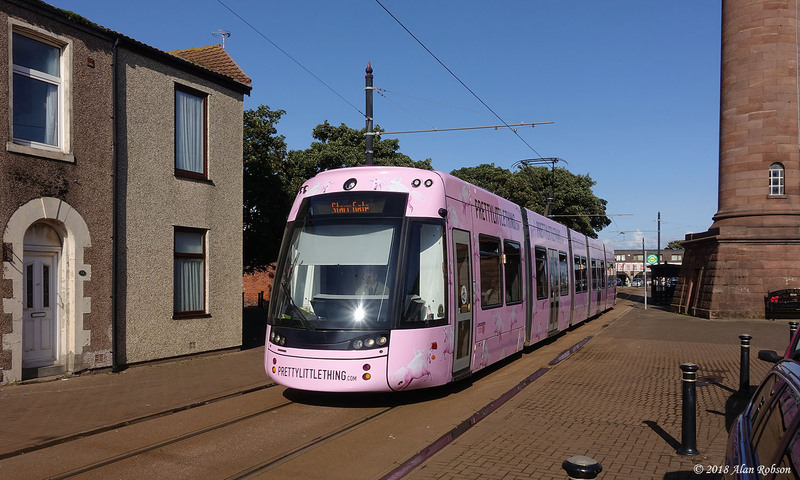 Hello Alan, I think you were being kind in your comment of "uninspiring! 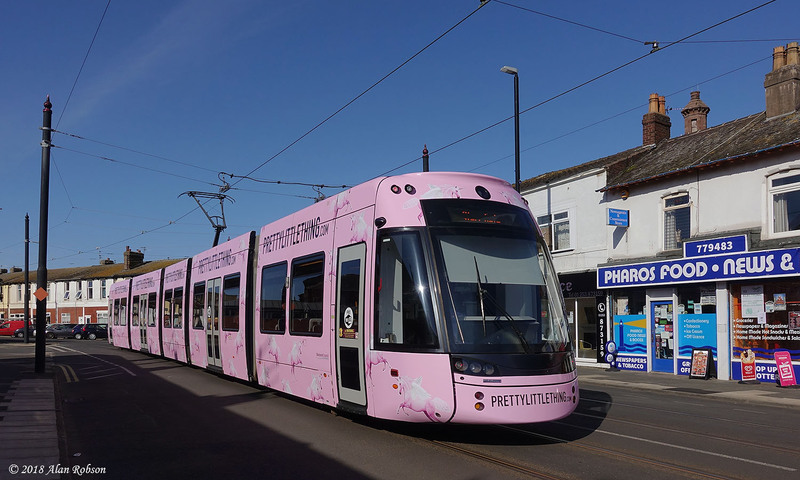 I didn't want to sound too harsh, I suppose it does make a change from the faded purple livery on most of the trams. Where is its fleet number located? 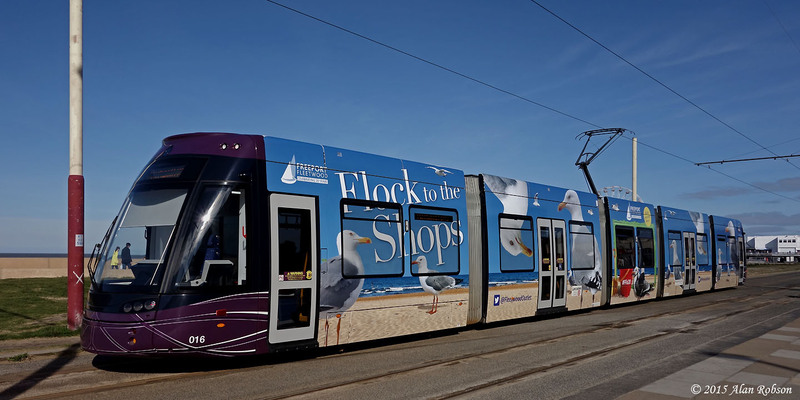 Neither 003 or 016 (new overall adverts) carry any external fleet numbers at the moment. 003 is showing part of its fleet number on the cab bulkhead doors.